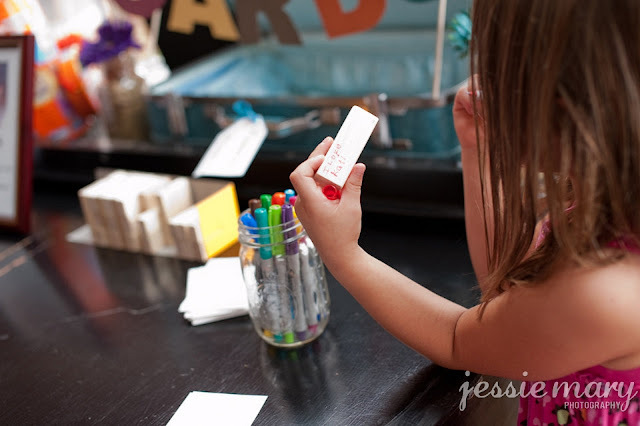 Instead of a traditional wedding guest book I wanted to have guests write messages to us on something we'd use more often than a book on a shelf, something we would see throughout our lives. 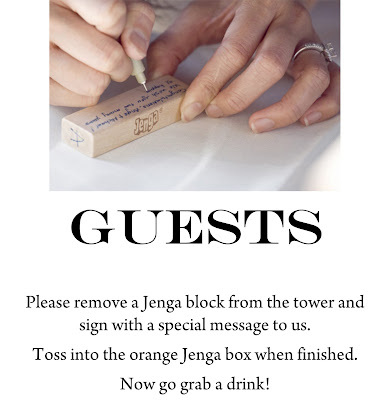 I saw this idea on another wedding website and loved it! 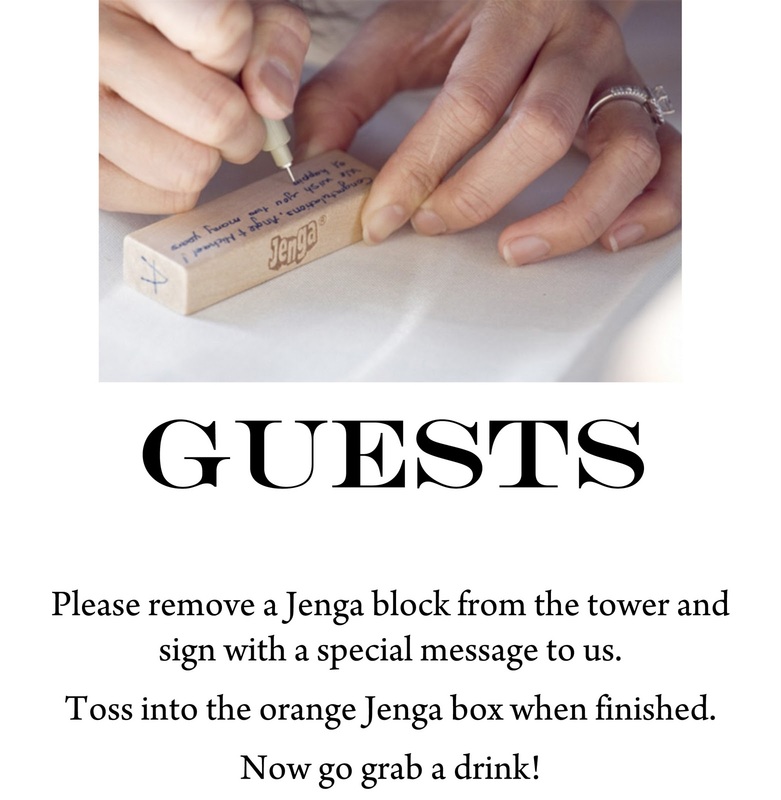 Each guest wrote a message to us on a Jenga block using fine tip sharpie markers. 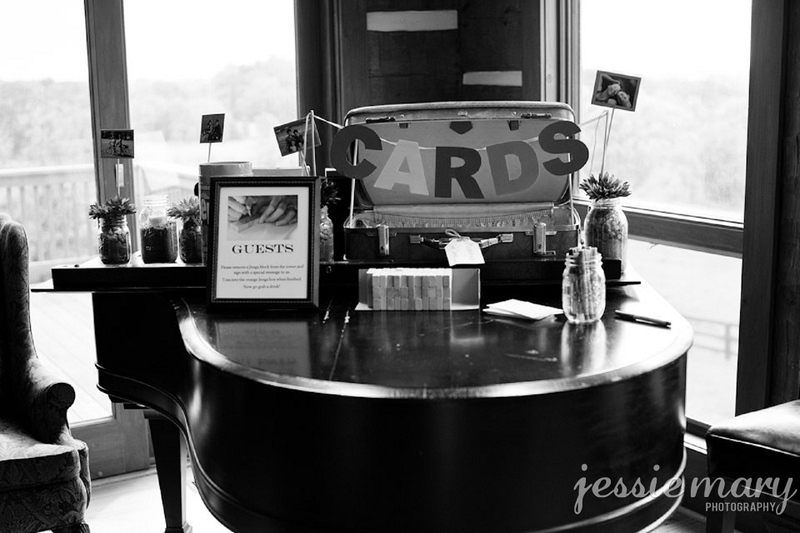 I created this sign and displayed it in a frame so that guests understood what exactly it was they were expected to do. I will warn you that if you do this idea to make sure someone is watching the kids at this table. We had a few kids who thought they could write on every single block! Also having it displayed where guests could leave the card they brought helped us in getting adults to participate. 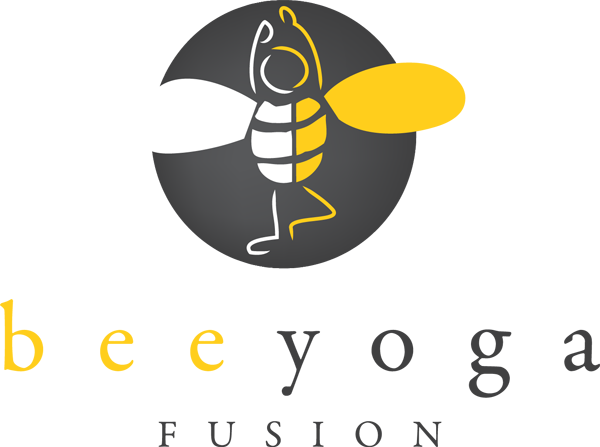 This site is my inspiration, really great pattern and Perfect subject matter.